I’m lucky in my job that I get to meet some really lovely people and right up on that list are a wonderful pair of FX and commodity dealers that I know. Given that I knew I would have some time available on my Thursday in Sydney, I figured I would see if these two had time to catch up and as fate would have it, the stars aligned and we could all do lunch together. I was bringing along a lady from my office so for the first time in forever it was an all girls lunch. I can’t recall the last time I had one of those in my line of work. It’s quite the boys club. 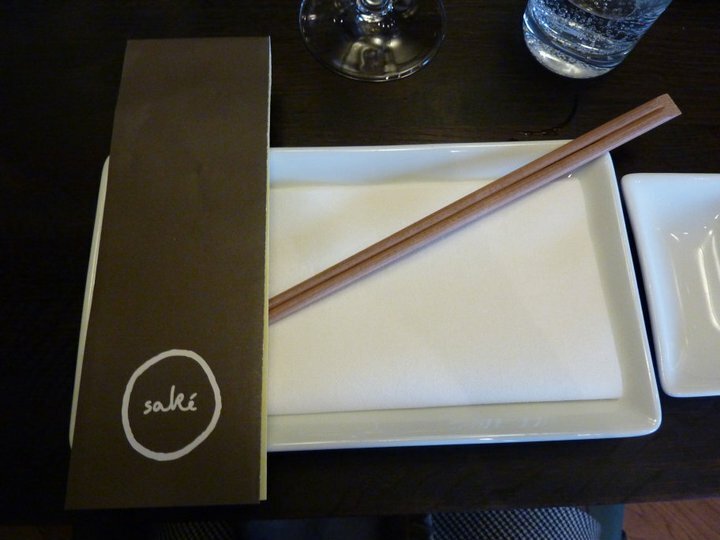 So we were booked in for Sake – a Japanese restaurant in The Rocks area. I was all the more excited about heading here after I saw the Executive Chef Shaun Presland on Masterchef a few weeks earlier. Oh yes, I’m very easily impressed with all things Masterchef related! And it really is a very stunning restaurant. Quite subtle lighting with an understated Japanese theme throughout. It looked very impressive. Now only one of us had been here before so after a quick look at the menu, we decided we would leave the selections in the previous vistor’s more than capable hands. We certainly weren’t disappointed. 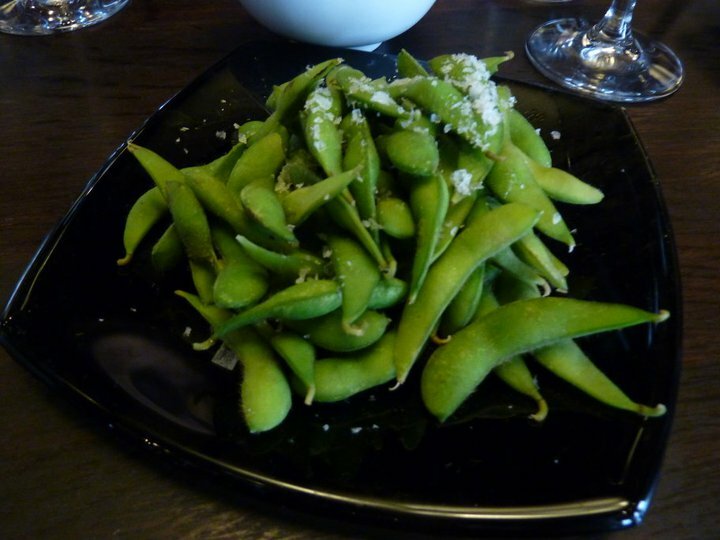 We started snacking on edamame, which are lightly salted soy beans in the pod – delish! Quite a subtle flavour, really enjoyed them. 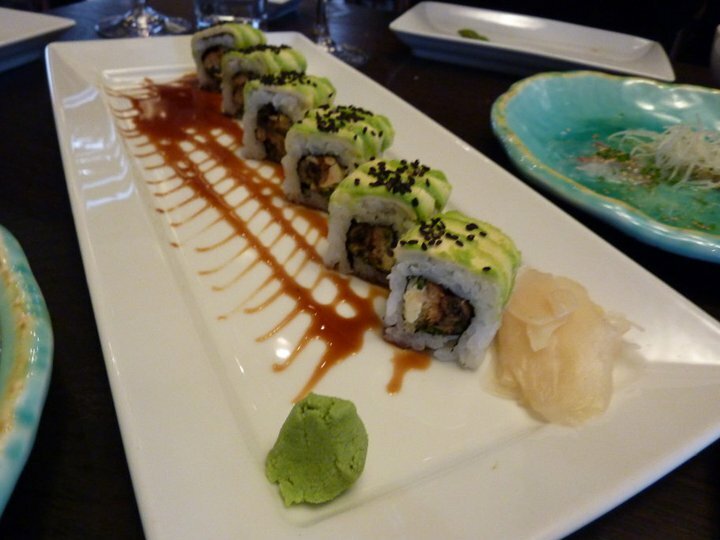 Every dish was a complete vision. A precise work of art. And then I took a bite. It was food heaven! I don’t profress to be the biggest seafood eater ,but I enjoyed everything we had, from the snapper sashimi to the eel sushi rolls. There seems to be such a high degree of precision in Japanese cooking and the presentation of everything had us all marvelling! These were sashimi tacos, which came as a 2pc serve of tuna and salmon sashimi filled baby tacos with chilled tomato salsa matched with Kozaemon Junmai ‘sake shots’ – so delicious!! A delightful combination of sweet and sour and a little spicy. 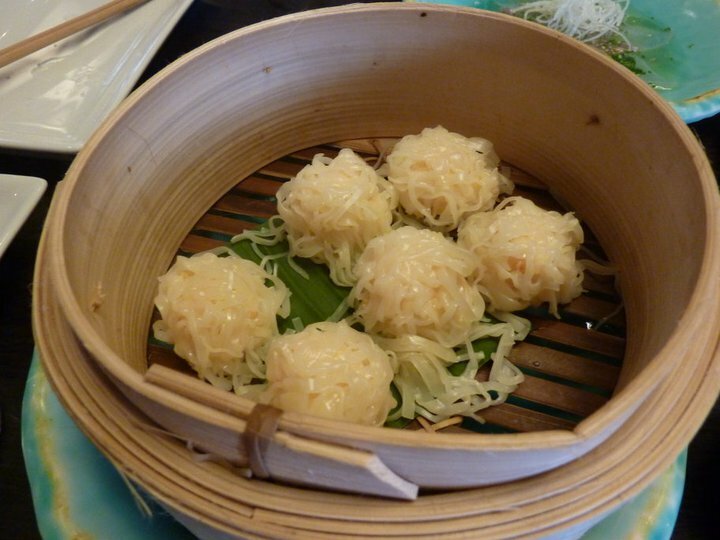 We also had steamed prawn dumplings (6pc) of Chinese-inspired shumai with spicy ponzu – yum!! Really loved these, but using the chopsticks to control the noodles which coated them, while dippping into the spicey sauce was a bit of a task for a complete chop sticks un-co! 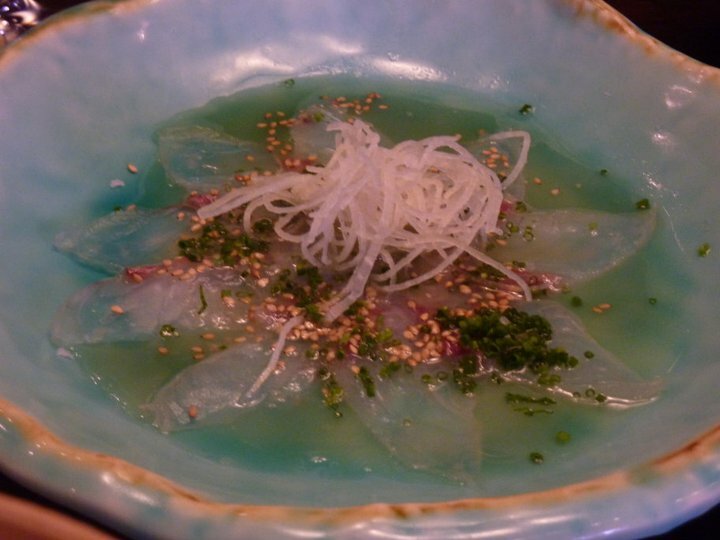 Next up we sampled the special of the day, which was a delightful a snapper sashimi, which was a really refreshing dish and all the flavours were so incredibly fresh, no fishy-ness to it at all. 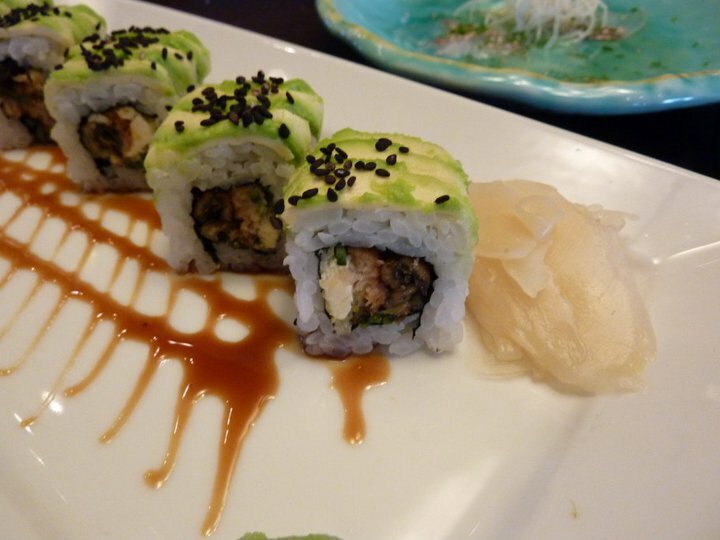 One of the more adventurous selections was a nixon (hand cut roll) of grilled eel, cream cheese, cucumber and tempura crunch with jalapeno mayo rolled inside out with avocado – my first foray into eel – really enjoyed it! I don’t know how I imagined eel would taste but with the combination of other ingredients, it all worked well. Didn’t it just look as pretty as a picture! 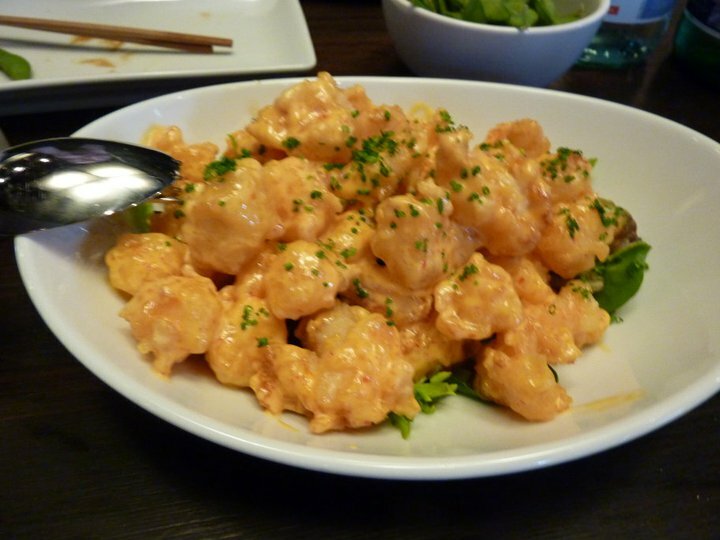 The popcorn shrimp, which is bite-sized prawn tempura pieces tossed with creamy spicy sauce, was amazing. The sauce was creamy wonderfulness and the prawns were cooked to perfection. Happy sighs for this dish indeed! 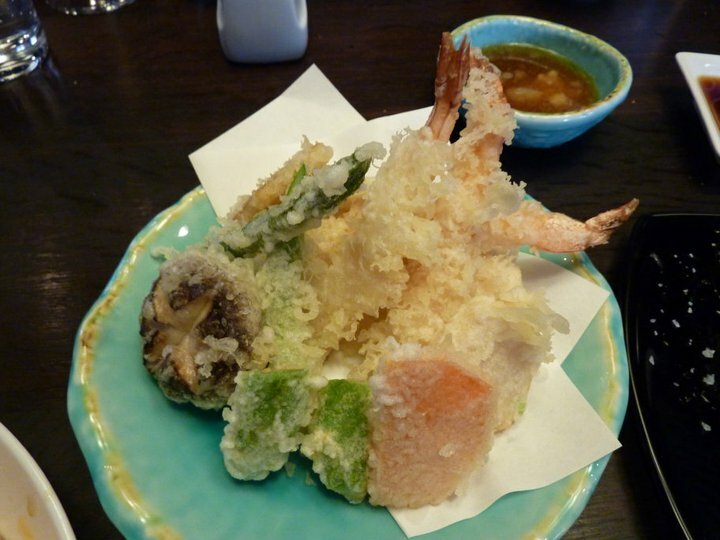 Finally we tried an assorted tempura of prawns, fish and seasonal vegetables with tentsuyu dipping sauce. 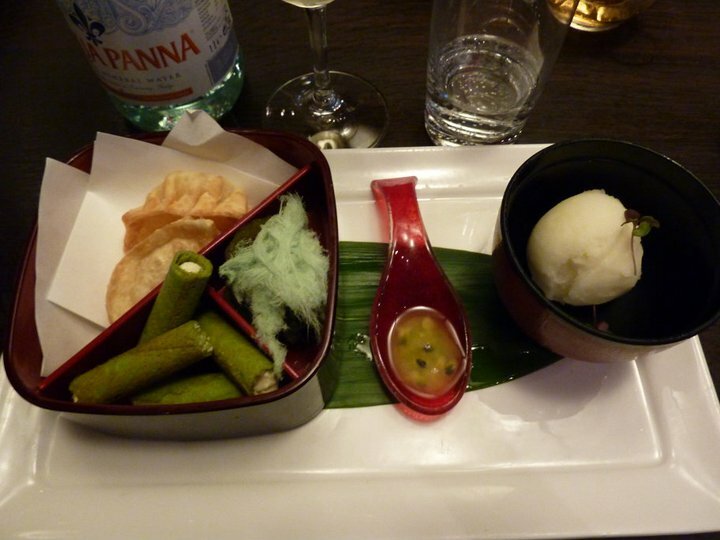 This was similar to the dish that Shaun Presland had got the Masterchef contestants to cook. It was an interesting combination of tempura treasures. Tempura avocado, tempura prawns, etc, etc. All were amazing! We were more than comfortable by the time we got through our selections, but the beauty of a group of ladies is that dessert is never going to be a hard sell. 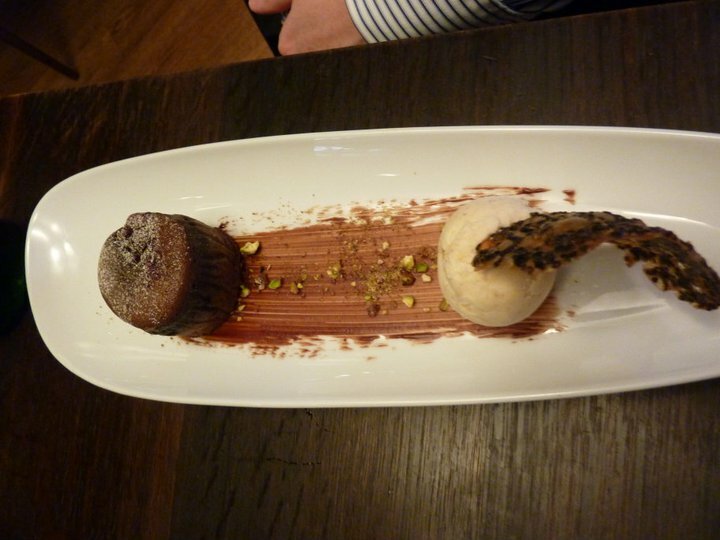 So initially to be polite we decided to just check out the dessert menu, but soon enough the previous visitor was raving about the chocoalte fondant she had last time and decided she would relive this magic. A warm chocolate pudding with white sesame ice-cream & black sesame tuile – it looked beautiful and it had such a beautiful rich smell when it arrived. As did her collegue and despite how amazing the fondant sounded I thought I’d give one of the other items a go and ordered the dessert bento box. Picture perfect. I’d say almost looked too good to eat, but I’d add almost because there was no way you could just keep staring at it for too long before curiousity as to how the different items would taste got the better of you! 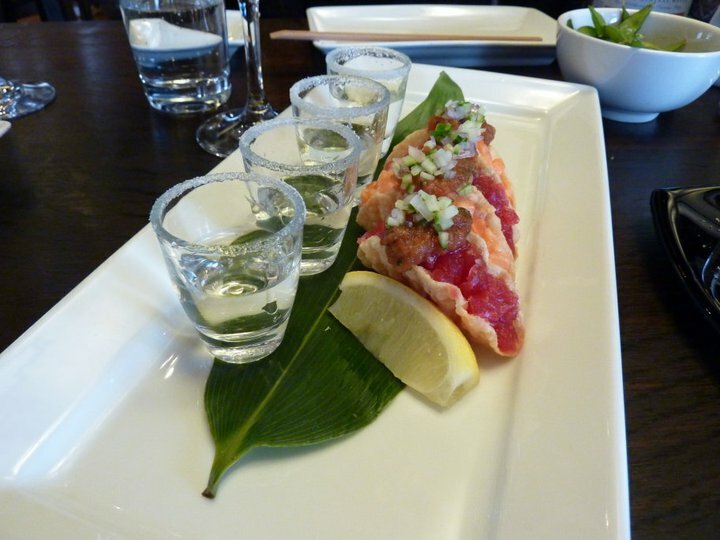 Sake is brilliant, definitely opened my eyes to the brilliance of Japanese food and making me wonder whether how to line up another trip to the East some time soon so I can try another few intruiging items on the menu. From the service to the food and wine it is fine, fine dining. And all credit to to the company – a sensational way to spend a lunchtime and afternoon in Sydney – many thanks.